Neil is a loyal and business-minded individual. This formidable combination has served him well in his 20-year property management career and continues to do so in his role as business development manager at Marshall White. 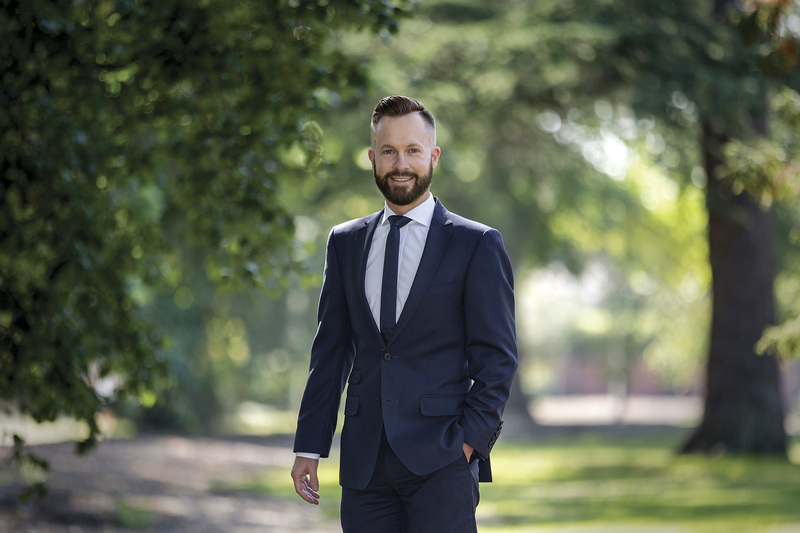 An acute attention to detail and flexibility combined with a calm and engaging personality underlines Neil’s genuine passion for property and people as he cultivates strong relationships with his clients. A longstanding connection with the suburbs of Bayside and Port Phillip and impeccable local knowledge make Neil a respected source of insight into attracting quality tenants and optimum rental returns. Making time to listen to his clients and understand their property goals, Neil holds the needs of his clients at the forefront of his mind. As well a pursuing his interest in mid-century design and architecture, Neil spends his free time with his partner and friends and sees great value in maintaining a sense of humour in his everyday life. Fully embracing the healthy beachside lifestyle, Neil takes time out to wind down at the gym, practice pilates and walk his dogs by the Bay. We are just thrilled with this result and the way the process ran – thank you again. As I said yesterday, having just been through a business sale, property purchase and property rental at the same time there have been a lot of balls in the air! It was so nice to not even have to think about the management of the lease – we felt entirely comfortable with your recommendations and advice around approach, and felt comforted knowing that you had everything in hand. You really were very impressive. We look forward to continuing our relationship with Marshall White. A brief email to say thanks for your support in leasing out our former primary home which we were attached to. Both myself and Kellyanne would like to thank you for your prompt and detailed communication during this process. As there was not one primary contact, (you had to liaise with both myself and Kellyanne for different aspects), this could potentially be challenging for you, however we appreciate that we were both kept in the loop and updated as open for inspections were schedule and facilitated. We believe this has resulted in the tenant that we were seeking. Overall we were very happy with your service and the experience. Neil, Michael and I have been very happy with how things have gone with the whole MW team. Your personal service and communication is and has always been exemplary. Being landlords located overseas this is very much appreciated. Thank you! I had been using the same real estate agent to rent my property in South Melbourne for several years and was dissatisfied with their lack of communication and the high turnover of staff. I also knew my rental was under market value and at the recommendation of a neighbour I changed to Marshall White in Albert Park, where I met Neil Harris. I decided to give the house a cosmetic overhaul to increase my rental. Neil went far above my expectations of what a good agent would do. He organised a Project Manager to oversee the work and between the two of them, my house was seamlessly upgraded within a month. After less than a fortnight it was re-leased with an increase of 45%. I can not speak more highly of the professionalism and integrity of both Neil and the Project Manager, Felicity Maxwell of Property Revive. I would like to take this opportunity to say how happy we have been with your assistance and expertise in leasing our home. You have been extremely prompt in responding to our messages, and have always been available to speak to, in person, throughout the process. You have been discerning in your endeavour to find tenants that will respect the condition of our home, for which we are very grateful. Your attention to detail and professional advice, have exceeded our expectations and it has been a pleasure to work with you.